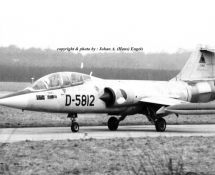 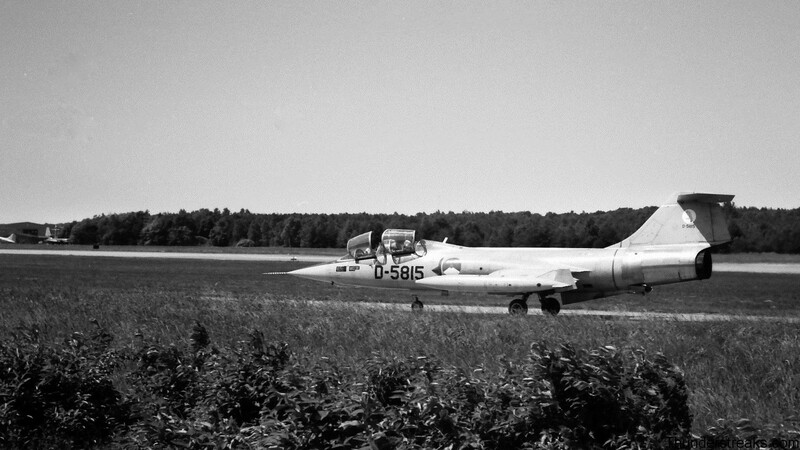 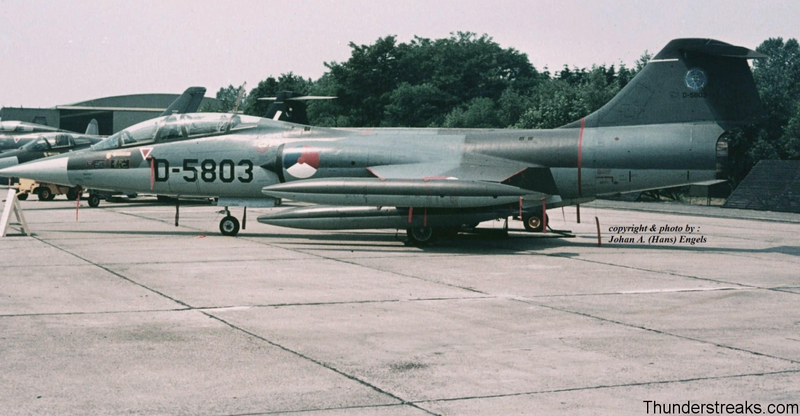 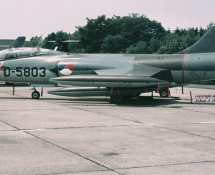 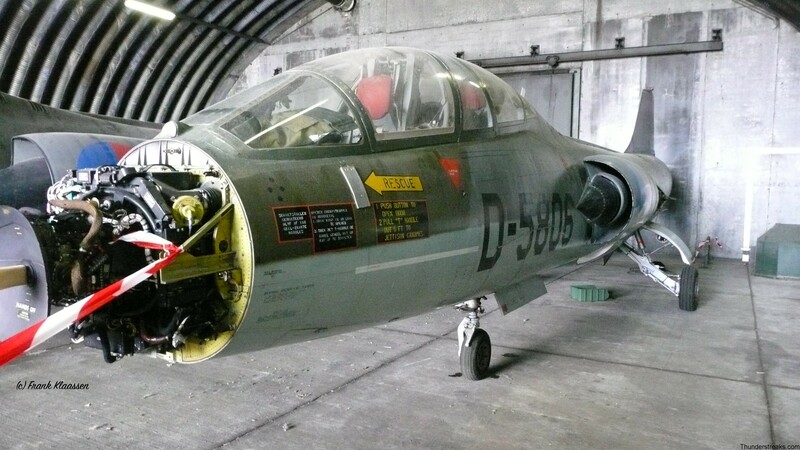 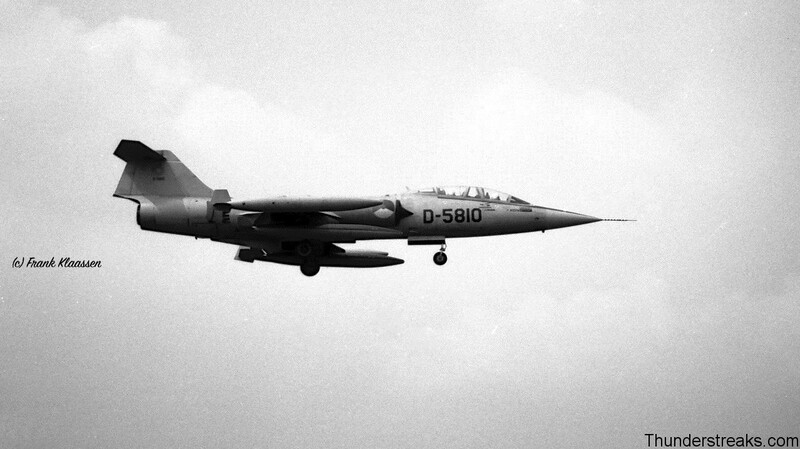 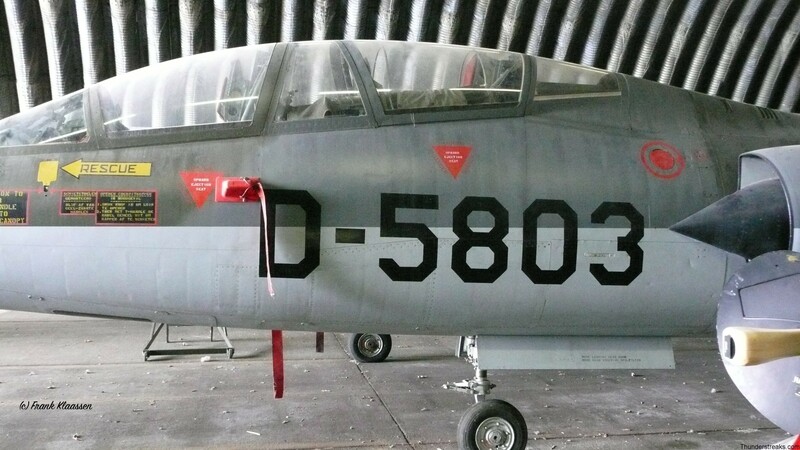 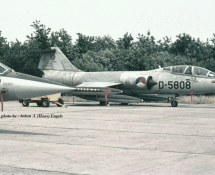 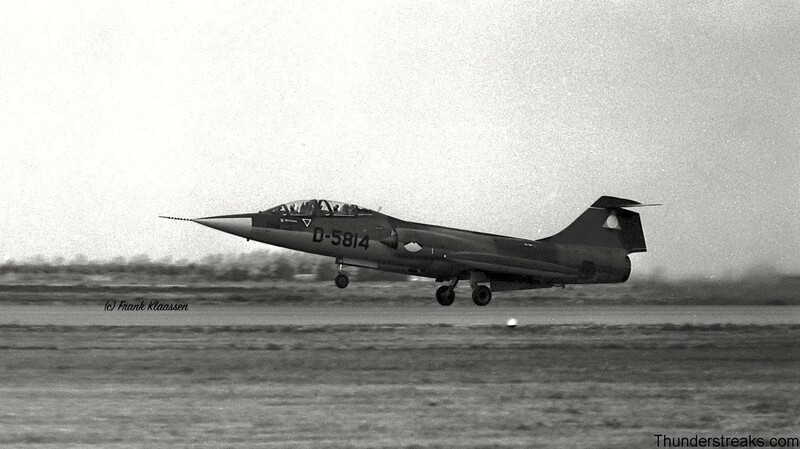 The TF-104G was the fighter-trainer version of the well known Lockheed F-104 Starfighter. 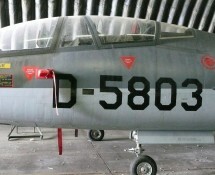 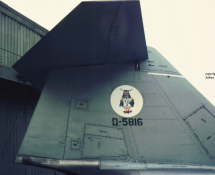 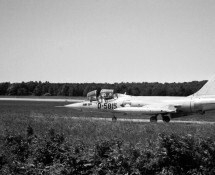 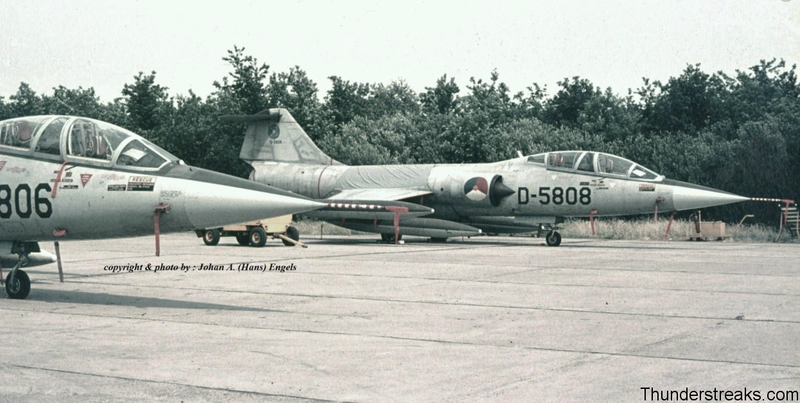 D-5702 and D-5801 to D-5817. 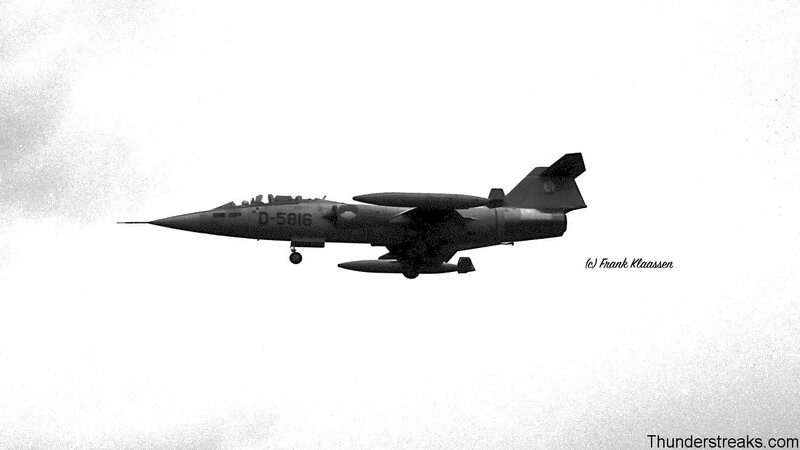 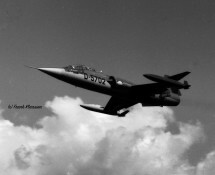 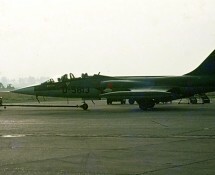 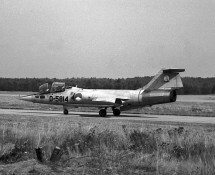 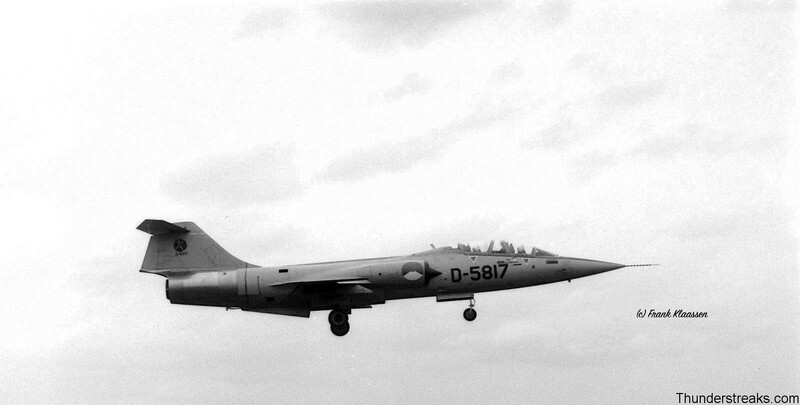 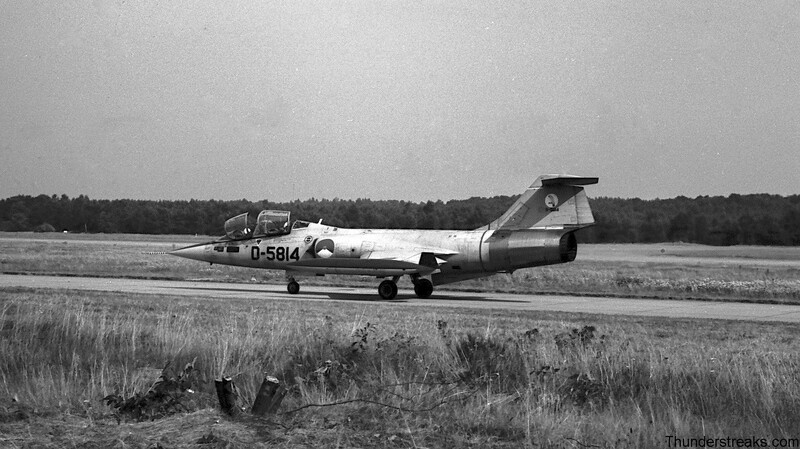 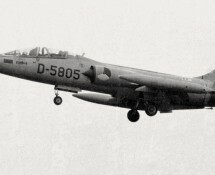 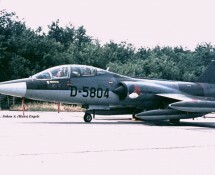 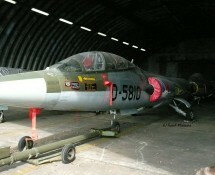 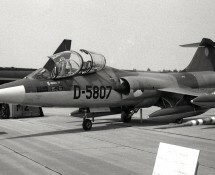 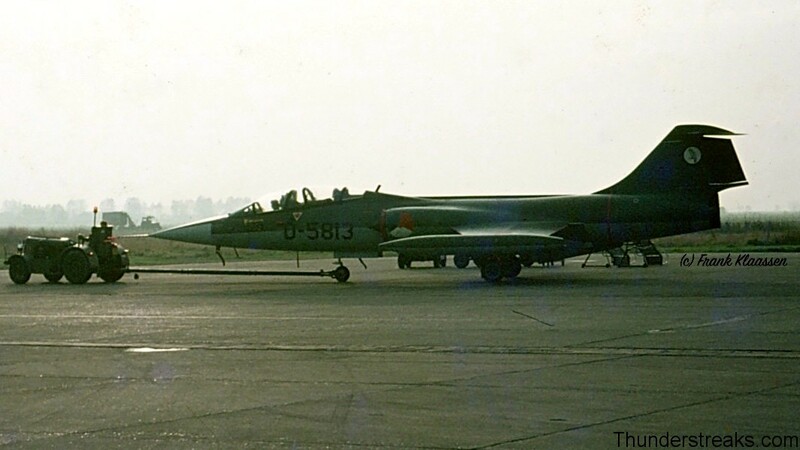 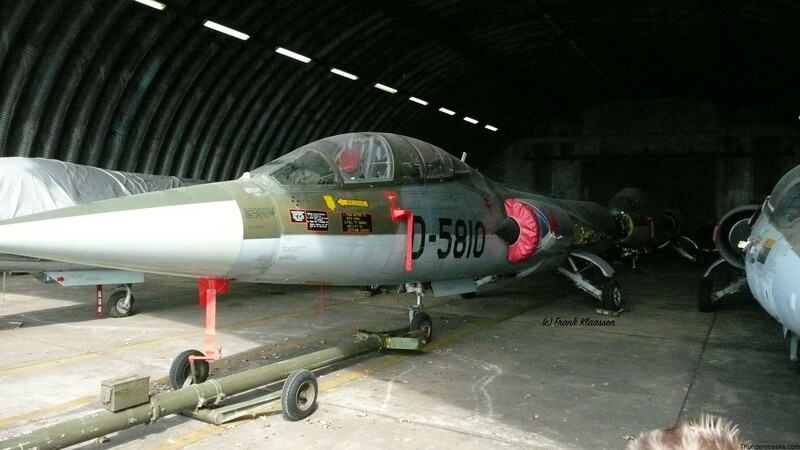 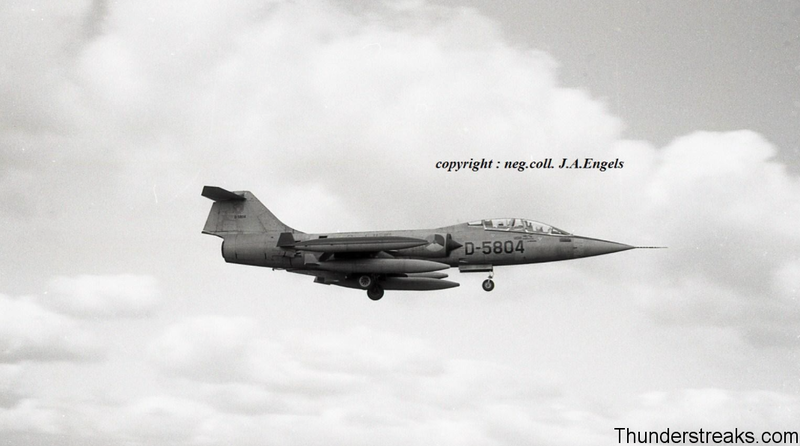 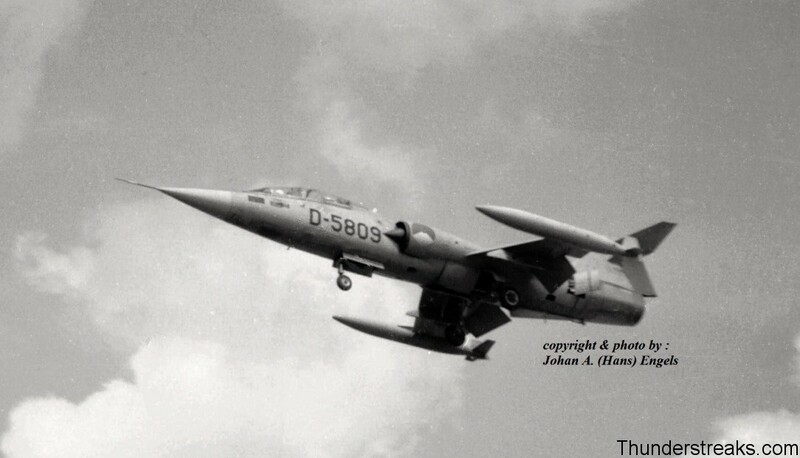 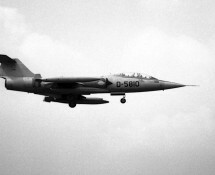 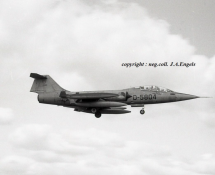 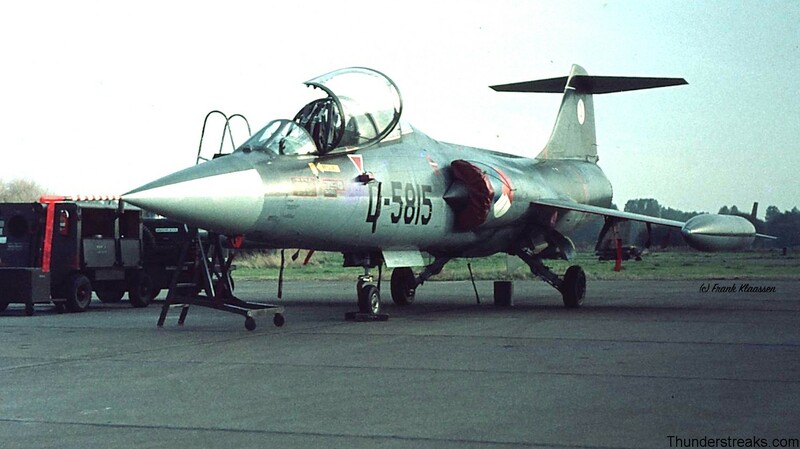 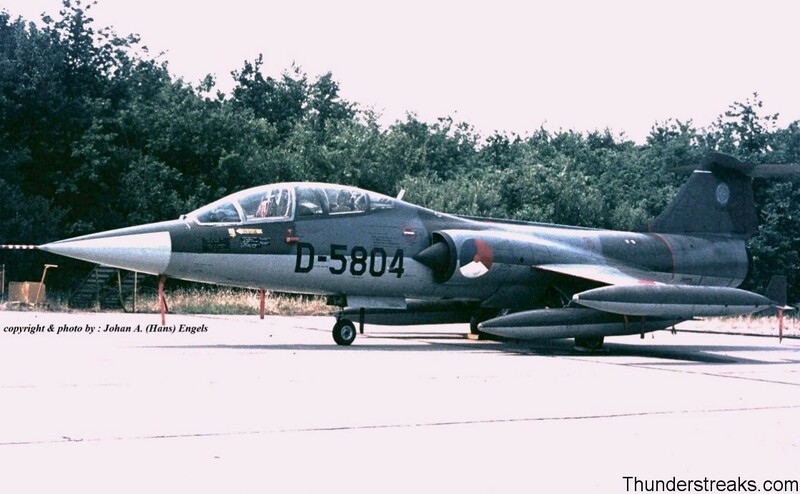 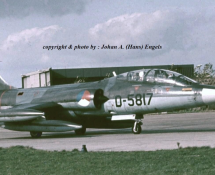 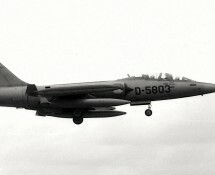 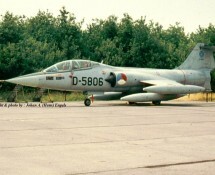 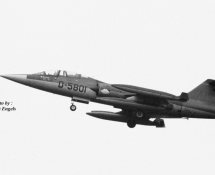 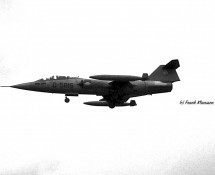 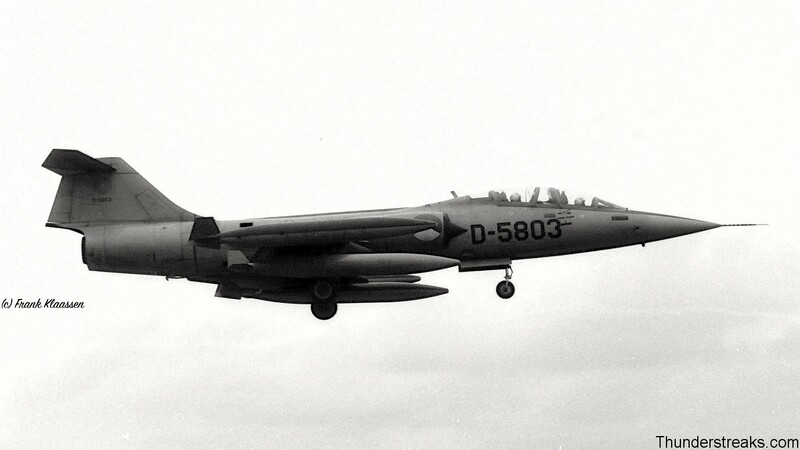 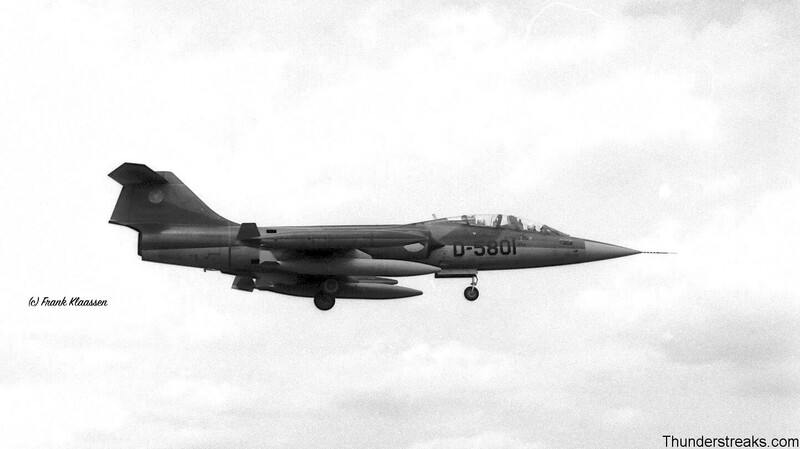 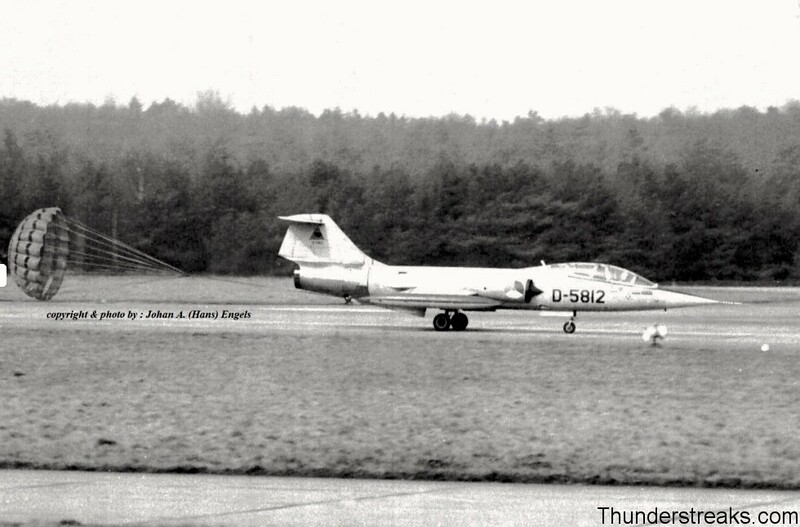 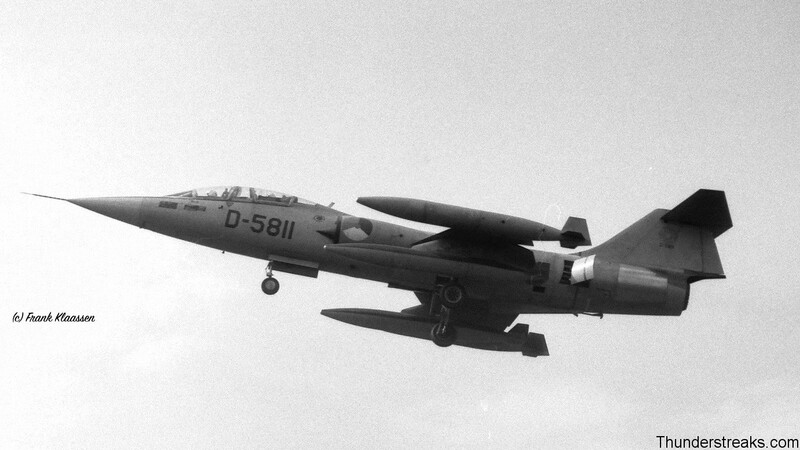 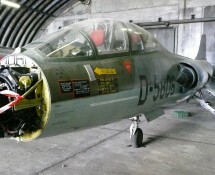 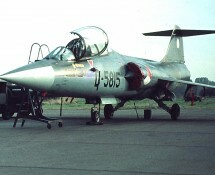 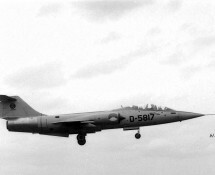 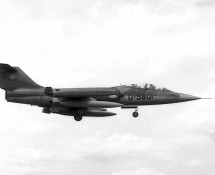 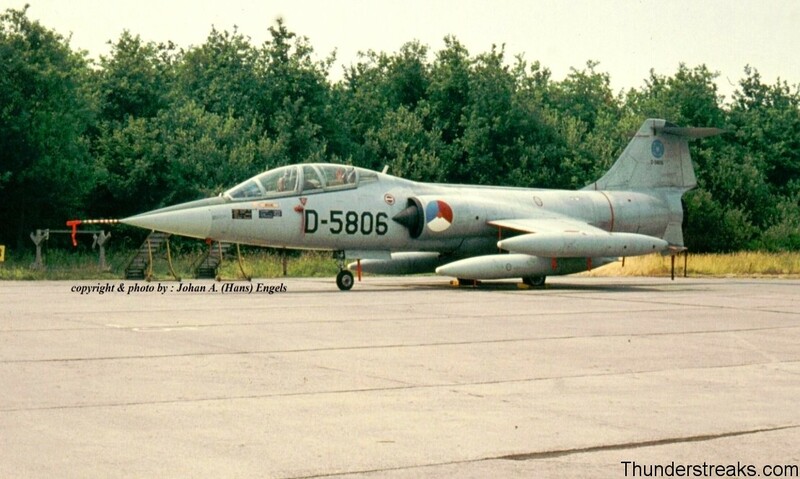 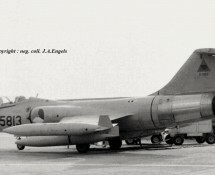 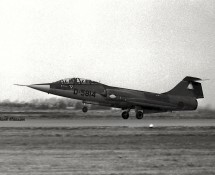 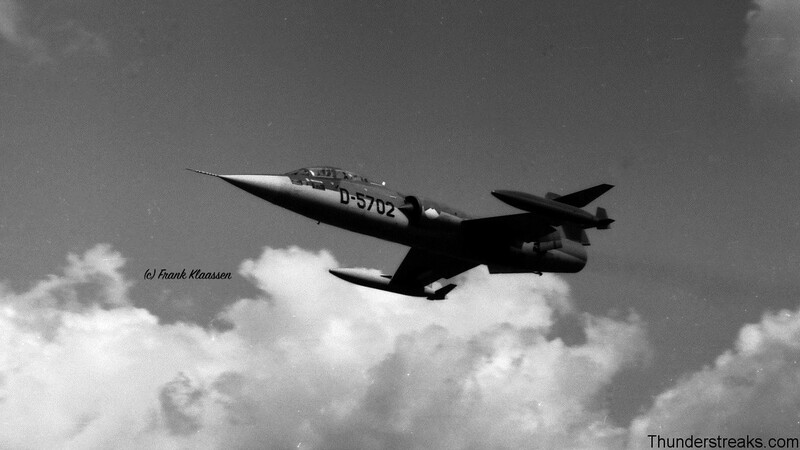 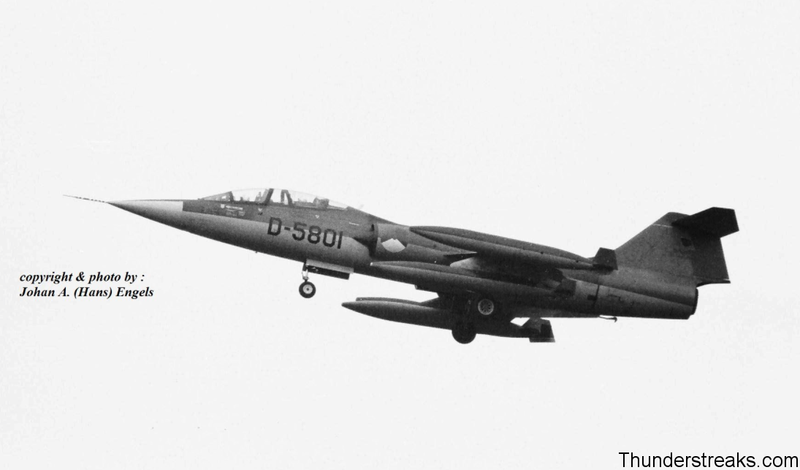 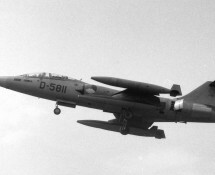 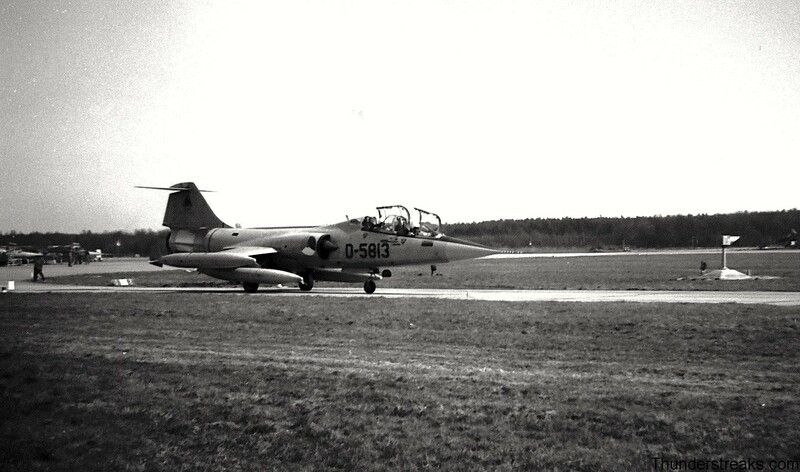 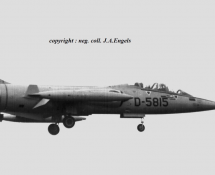 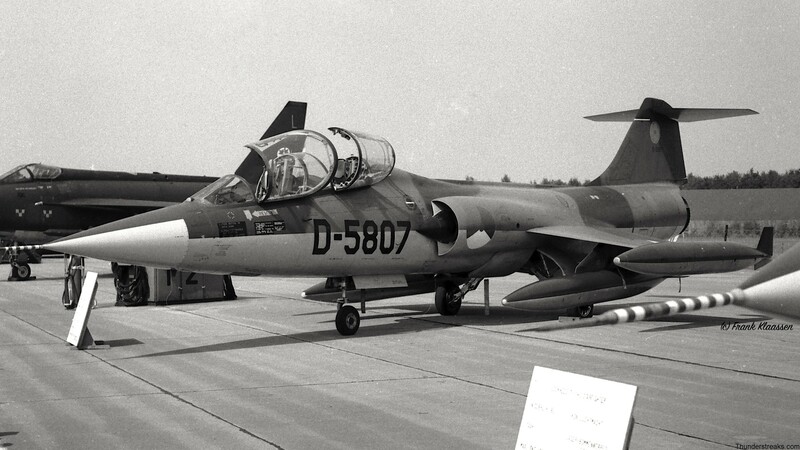 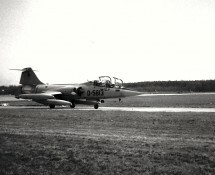 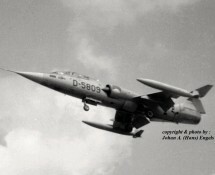 Several conversion schools were formed at Twenthe , Leeuwarden and Volkel in order to make pilots getting used to flying the F-104. 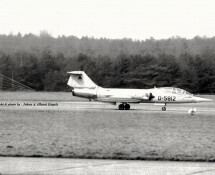 The “Dutch Masters” OCU at Twenthe was the most significant unit . 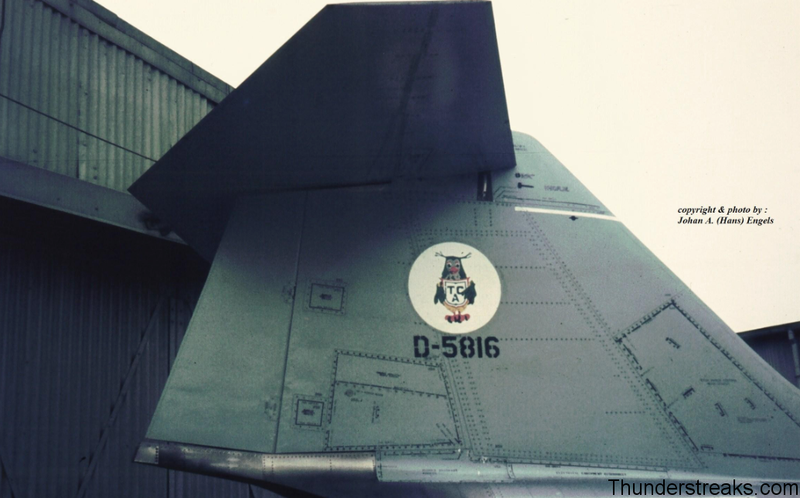 As to the livery of these TF’s : at first they were painted in nevellish grey , but later on – during the Seventies – they were all camouflaged. 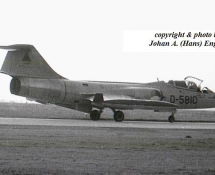 At this time the Base Flights of Leeuwarden and Volkel were the primary users of the two-seaters.